When was the last time your favorite recliner had a bath? Whether it is your dining room chairs or living room couch, we know how to bring out the best in your upholstery! 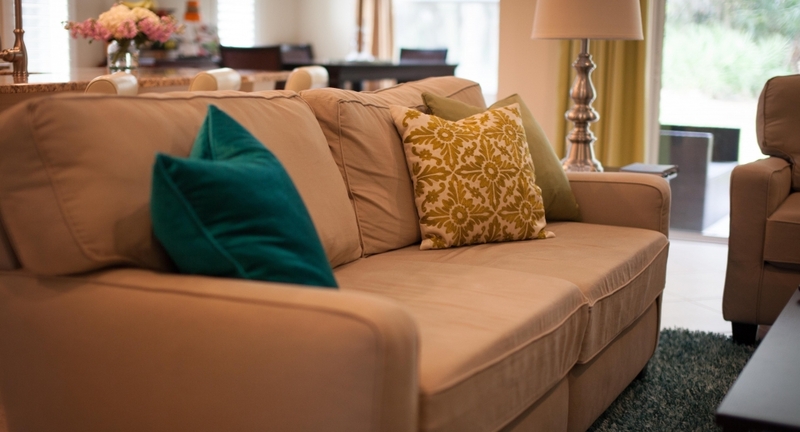 You will be surprised how much dirt and oil becomes trapped in the fabric of upholstery. Do it yourself upholstery cleaning cannot be recommended as improper technique can over-wet or discolor fabrics. Upholstery cleaning is a multi-step process that includes vacuuming, pre-conditioning the fabric, working the cleanser into the fabric with a handheld agitation pad, followed by hot water extraction, then drying. It is a tedious process, but the results are worth it! We highly recommend treating your freshly cleaned upholstery with Scotchgard to preserve your investment. There is no secret to beautiful furniture, Call us today for a Risk-Free Consultation!